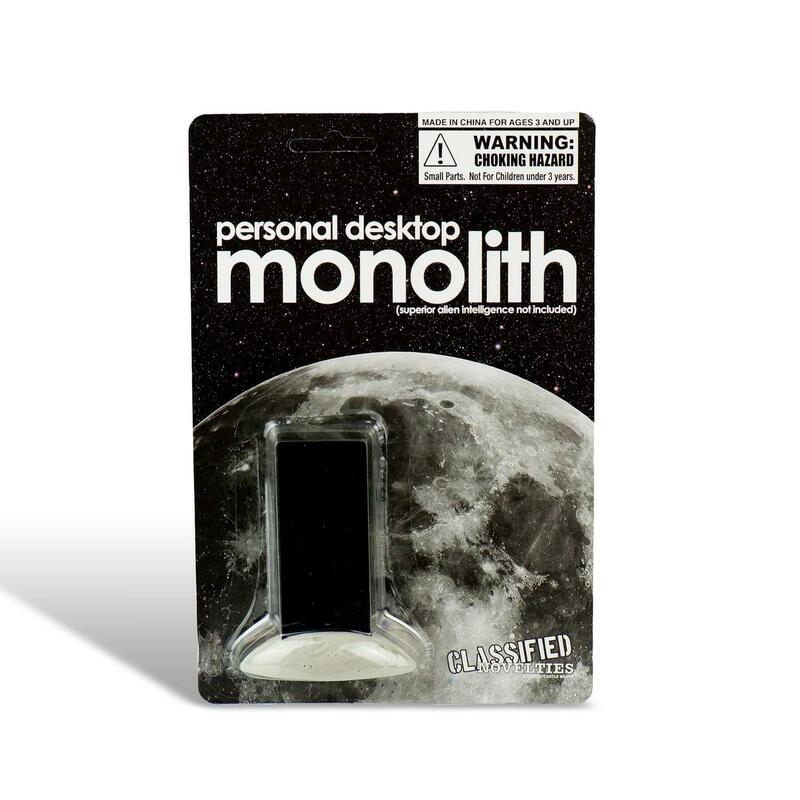 Home→ Figures & Collectibles→ Figures & Action Figures→ 2001: A Space Odyssey Monolith "Action Figure"
Now you can own your very own Space Monolith "action figure" from the classic sci-fi filmA 2001: A Space Odyssey! With zero points of articulation, the Monolith is properly proportioned to those in the movies 2001 and 2010 (1:4:9 - the squares of the first 3 integers). Made of semisynthetic, organic, amorphous, solid materials (AKA plastic). May cause strange magnetic fields, action figure evolution, seeing things filled with stars, and/or more (or it might just sit on your desk doing nothing). 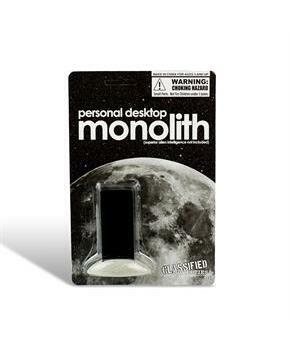 Now you can own your very own Space Monolith "action figure" from the classic sci-fi filmA 2001: A Space Odyssey! Zero (0) points of articulation. Monolith is properly proportioned to those in the movies 2001 and 2010 (1:4:9 - the squares of the first 3 integers). Made of semisynthetic, organic, amorphous, solid materials (AKA plastic).